First up in our mini malts session was a blend from Wemyss. While I’ve seen all sorts of compelling reviews on whiskies from the independent bottler Wemyss, this was my first foray into their offerings. It was a complete impulse buy in London at The Whisky Exchange, and one I do not regret. Nose – Such a briney peat greeted us. dry with vanilla, salty with a decidedly maritime twist, seaweed, salty caramel, light chocolate. Overall, it was one of the saltiest peat whisky I’ve tried. We joked that it was like standing on a wind swept cliff in Scotland, breathing in the salty maritime sea air. What was interesting was we returned back after some time and the peaty salt had shifted to such sweetness with burnt caramel. It is reputed to be a vatting of 16 different whiskies with a “hefty slug” of 12 year old Islay malt. Peat Chimney uses an Islay signature malt to give top notes of sweet smoke, salt and peat. We sampled from a closed miniature in October 2017… a full bottle would set you back around $60. 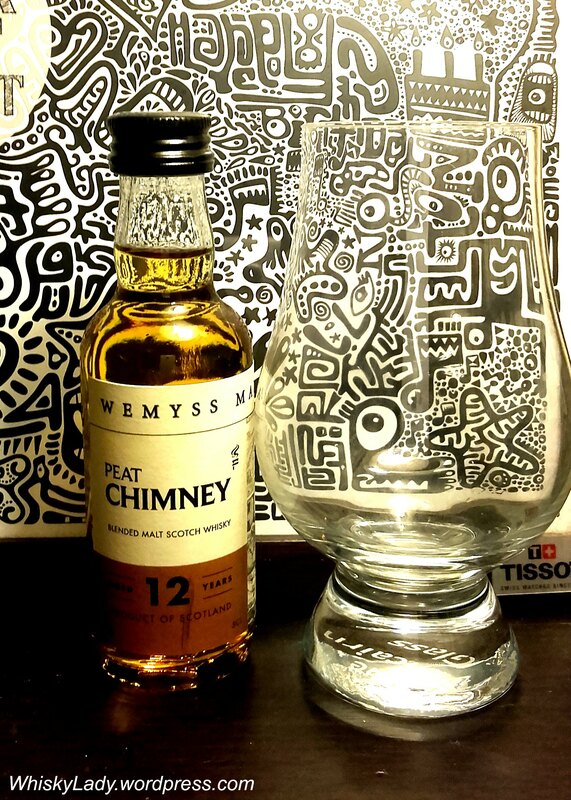 This entry was posted in Blends, Islay, Scotland and tagged Wemyss, Wemyss Peat Chimney 12 year by Carissa Hickling. Bookmark the permalink.